A Montreal start-up hopes to hit it big with a new app that makes partying easier than ever. “MyRave is like Uber, but for raving,” says local programmer Nick Casabella. “The way it works is simple — you load the app, enter your address and your musical preferences, and click a button. Within thirty minutes, a DJ will be at your door with turn tables, speakers, strobe lights, and smoke machines. That’s not all, but if you pay extra, the DJ will even come with gogo dancers. That’s right, women will come to your apartment, and you won’t even need to offer them drugs to get them there! Though if Canada ever looses up on its drug laws, we’ll totally add that functionality. Not the bribing women with drugs part, but the bringing you drugs with your EDM part. We would love MyRave to be your one-stop party shop. Having fun should be as easy as clicking a button." The app has been in beta since the beginning of February, but the few lucky people who have had a chance to use MyRave have been thrilled with the experience. “You know what, sometimes I don’t want to go to the bar or to the club,” says beta-tester Jonas Goulot. “So it’s great to have a way of bringing the party to me. It’s a bit pricey, but if you can afford it, it’s definitely worth it. If you have the cash, you’ll never be bored again. Last week, I had a craving for a schranz and nitzhonot party, so I just typed that into MyRave, and bam, an hour later, I was listening to some of the most obscure techno you’ve never heard of. Because seriously, when was the last time you went to a party that played any scharnz or nitzhonot music? Now, every friday you’ll have access to a party that plays the kind of music you want to listen to, no matter how weird it is, no matter how unpopular it is. 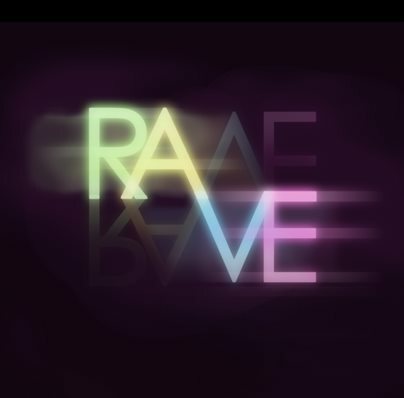 With MyRave, you’re the promoter, so you decide." Designer parties aren’t the only thing MyRave has in mind. “We’re in talks with several local clubs, too. We want to help event organizers connect with their customers,” says Nick. “We’re going to be the kickstarter of parties. We’re going to be bigger than Google. Nothing's as profitable as pleasure, and we're going to corner the market on fun."